Thyme exports jumped dramatically for a second year in a row. Shipments doubled in 2017, and demand continues to rise. Exports of the herb jumped 110 percent last year to 136 tons compared to 2016, and increased some 40 percent in the first eight months of 2018, compared to the same period last year, according to Customs data. Thyme is exported mainly to the Gulf countries as well as the United States, Australia, and Germany. “It is one of the most feasible crops currently,” said Ramez Osseiran, Chairman of the Association of Farmers in the South. 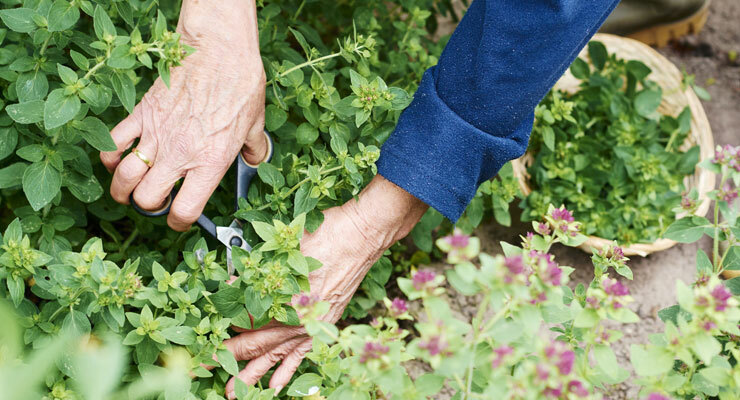 Thyme can be harvested up to four times per year if the plants are given the required fertilizers and are irrigated on a regular basis. One kilogram of dried thyme sells for approximately $13 to $20 depending on quality. “Farmers started recently cultivating thyme in green houses in the South,” said Boutros Asmar, Director of the South region at Debbane Agri. Each dunum can yield up to 350 kilograms of green thyme per harvest, which produces 60 kilograms of dried thyme, according to Asmar. One dunum nets around $3,000 in profits annually. “Thyme is one of the booming products and is in high demand,” said Samir Abdel Malak, Chairman of Fair Trade Lebanon, a non-governmental organization, which markets agro-food products. Fair Trade Lebanon has signed a deal with Whole Foods Market to market local thyme at 400 locations across the US. It will ship 40 tons of thyme to Whole Foods Market as a start. “If this is the start, there will be a large need to increase the quantities of thyme cultivated,” said Abdel Malak. Increasing the cultivation area to meet local and international demand should not be difficult. Wild thyme grows seemingly everywhere across the country. Some 1,800 dunums of thyme were being cultivated in 2010, according to the latest agricultural census conducted by the Ministry of Agriculture, and that area has since grown.